2 Actividad inicial: Read silently Lectura: Parte I on page 141. Comprension de lectura: On your notebooks copy the entire statement and write cierto if statement is true. 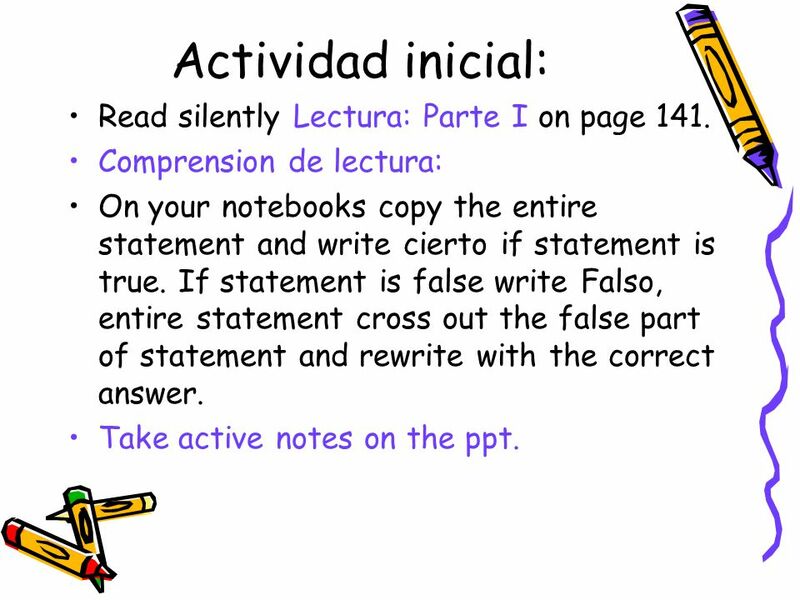 If statement is false write Falso, entire statement cross out the false part of statement and rewrite with the correct answer. Take active notes on the ppt. 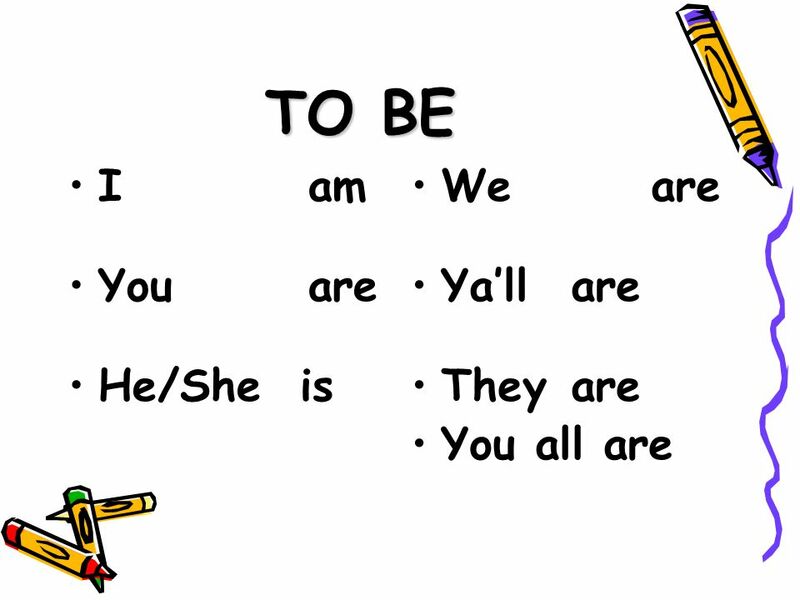 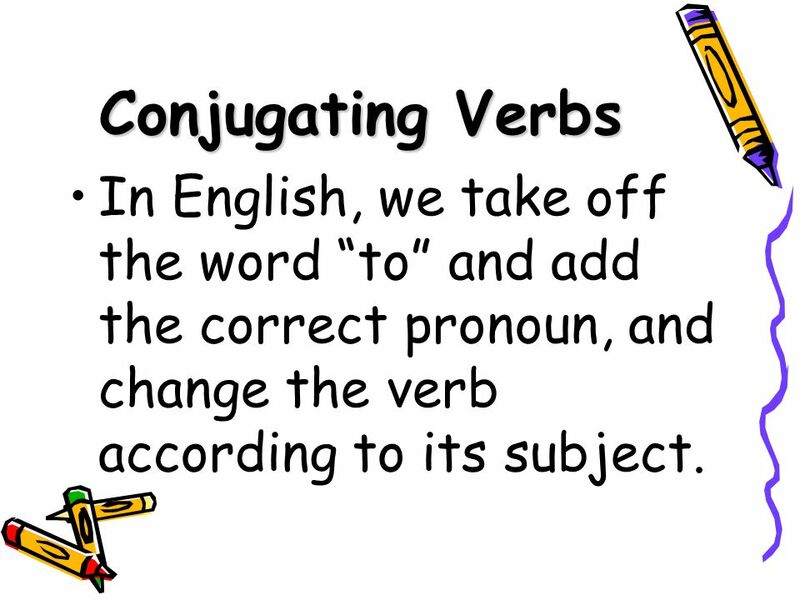 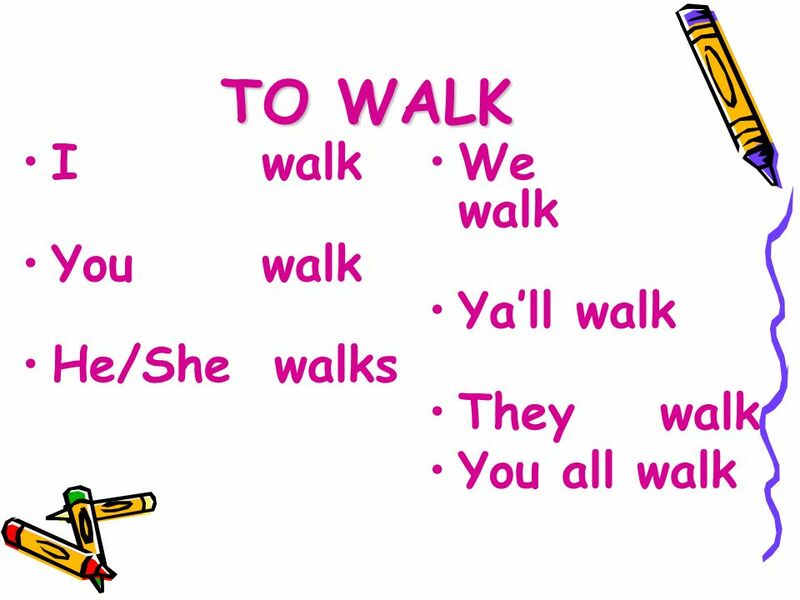 5 Conjugating Verbs In English, we take off the word “to” and add the correct pronoun, and change the verb according to its subject. 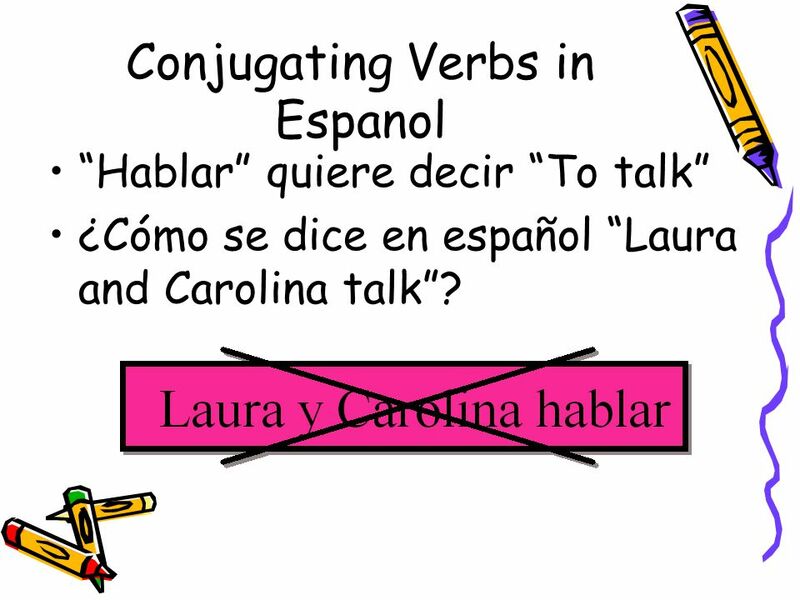 “Hablar” quiere decir “To talk” ¿Cómo se dice en español “Laura and Carolina talk”? 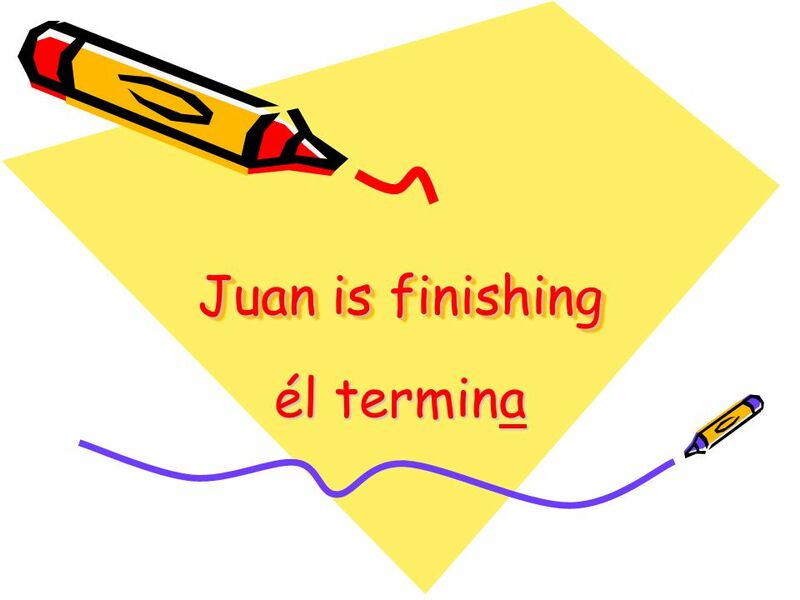 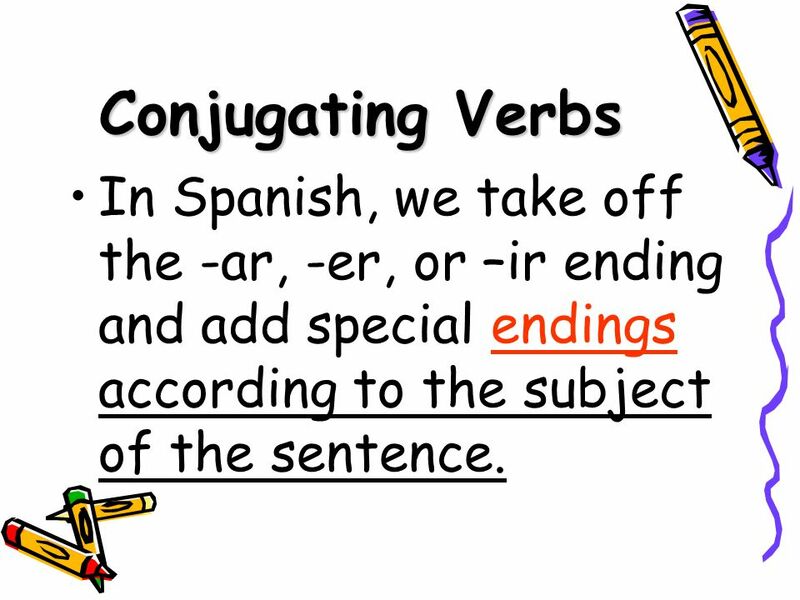 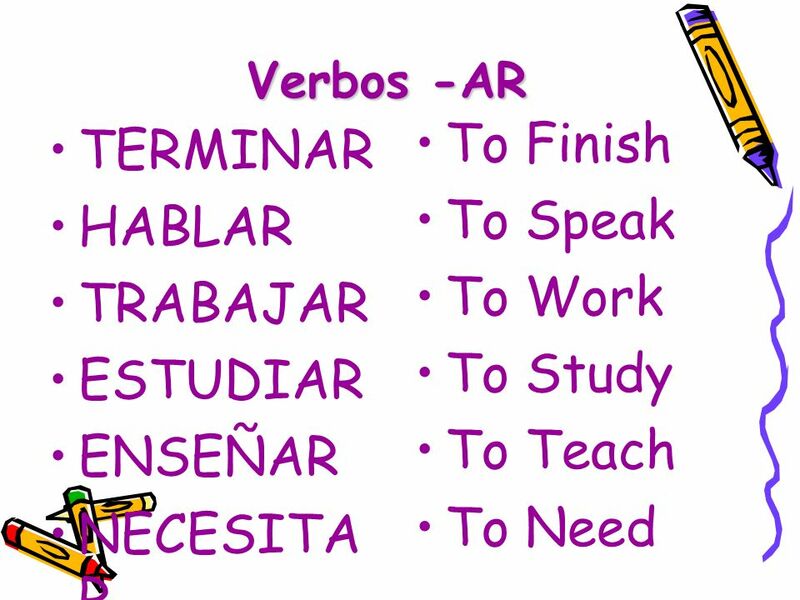 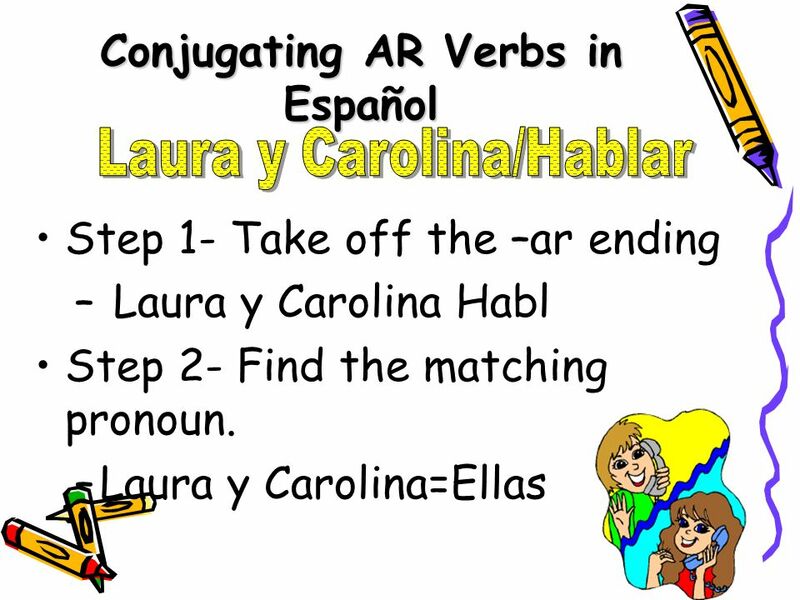 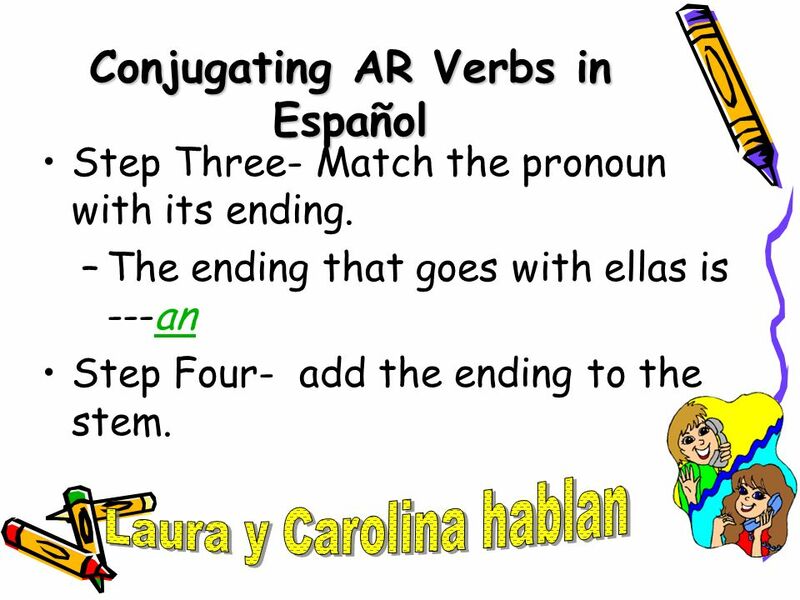 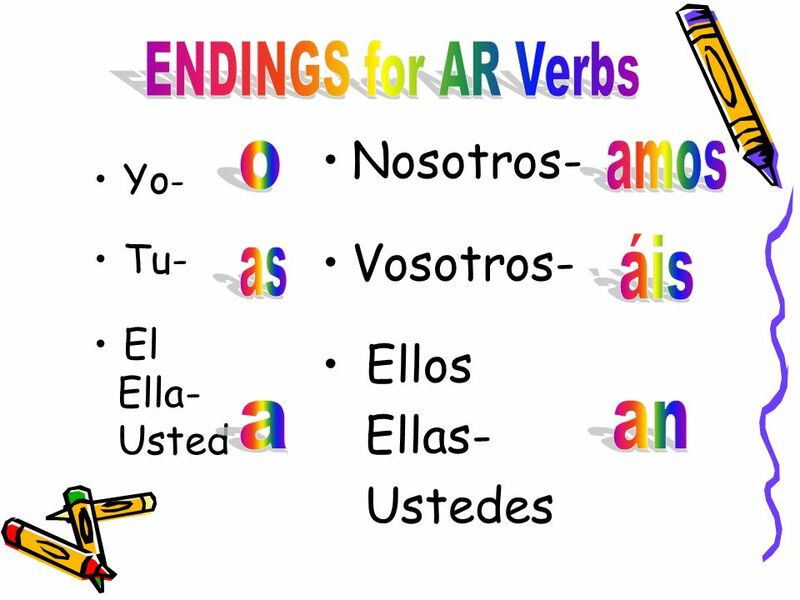 10 Conjugating Verbs In Spanish, we take off the -ar, -er, or –ir ending and add special endings according to the subject of the sentence. 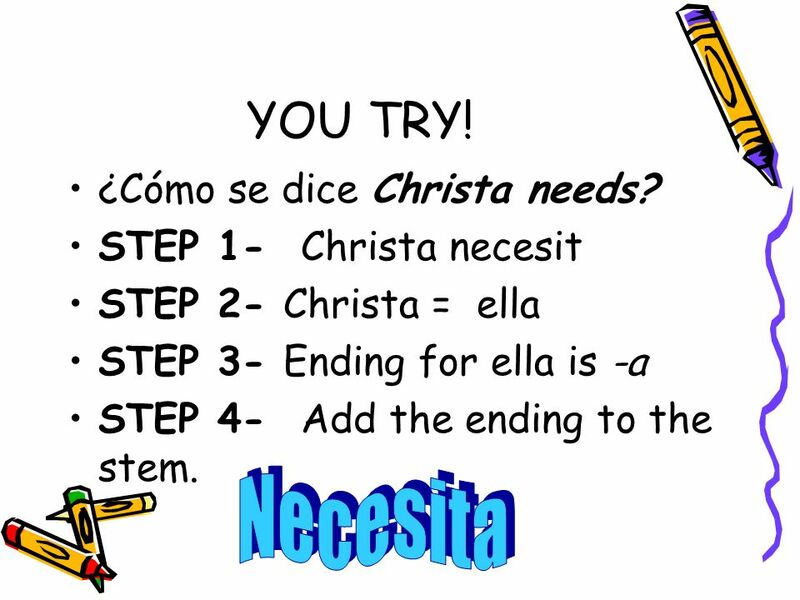 15 YOU TRY! 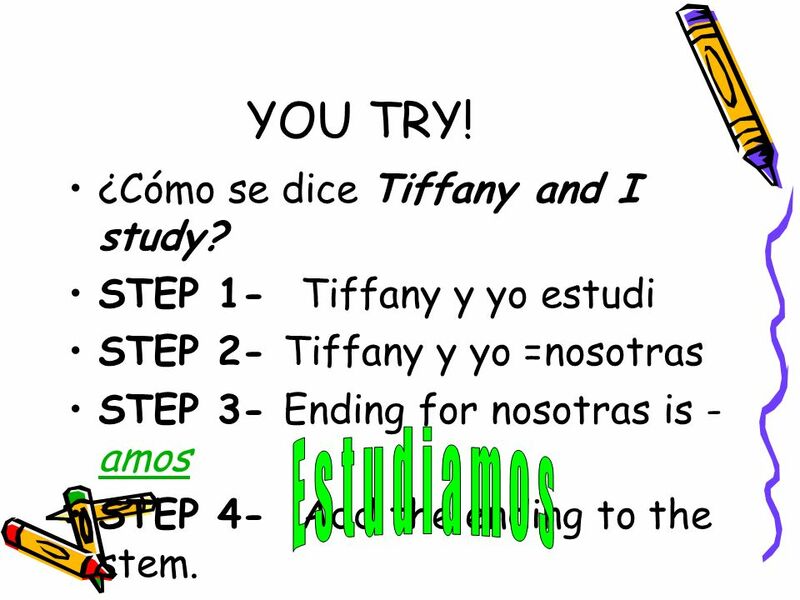 ¿Cómo se dice Tiffany and I study? 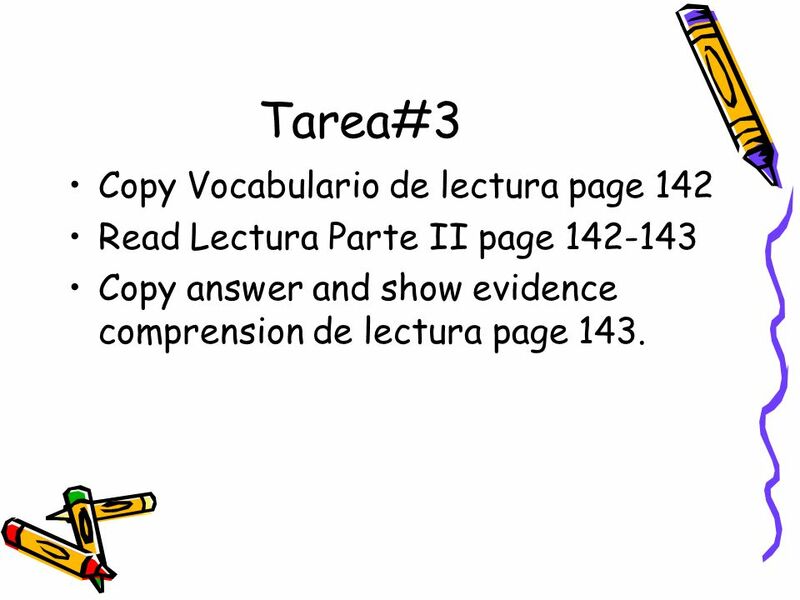 Read Lectura Parte II page Copy answer and show evidence comprension de lectura page 143. 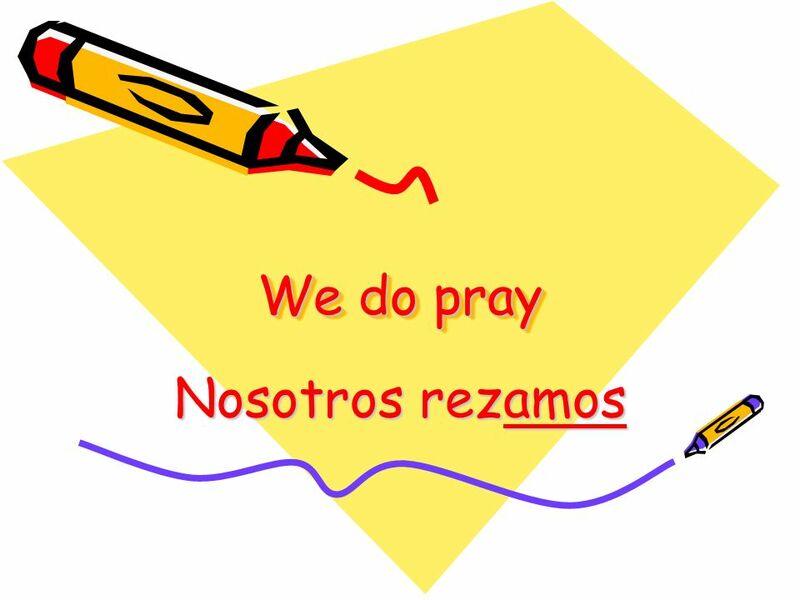 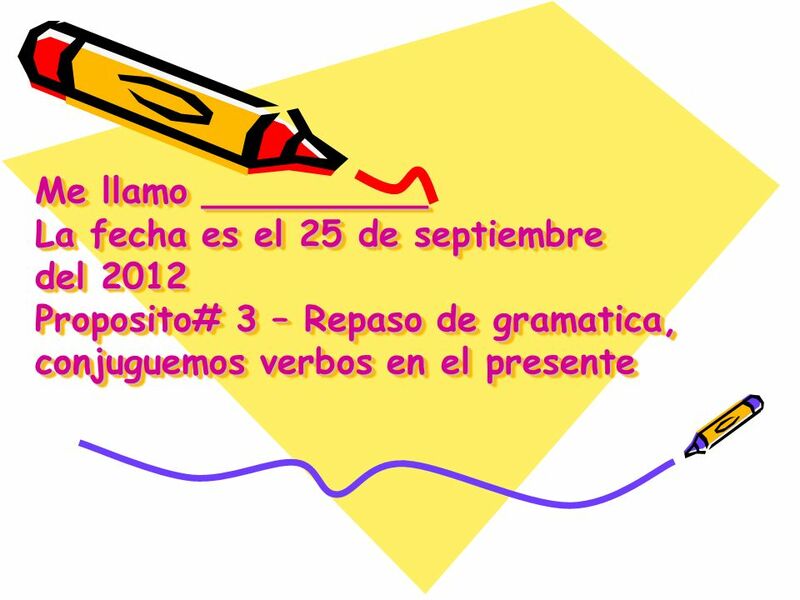 Descargar ppt "Me llamo __________ La fecha es el 25 de septiembre del 2012 Proposito# 3 – Repaso de gramatica, conjuguemos verbos." 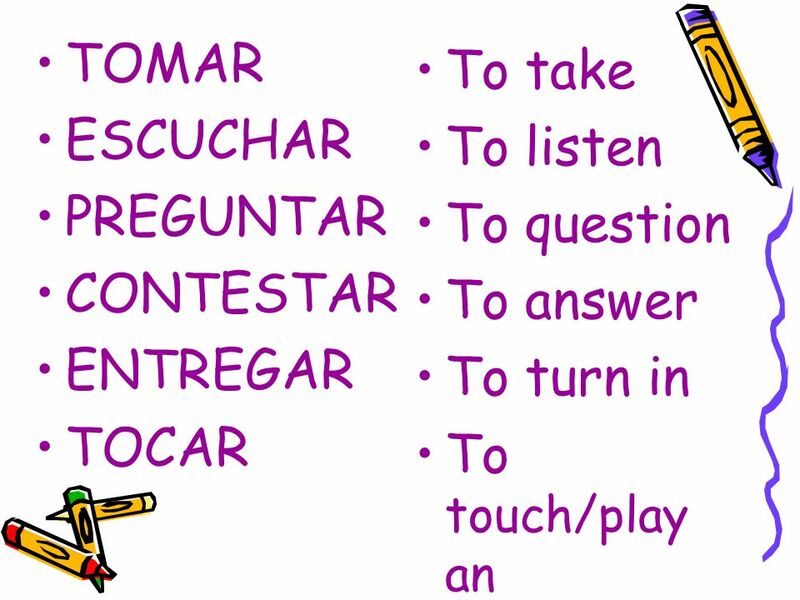 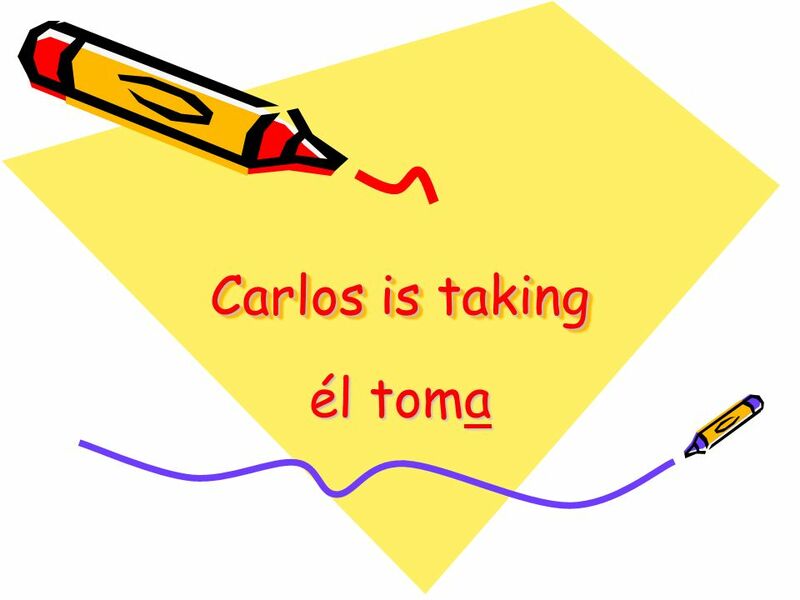 ANTE TODO In order to talk about activities, you need to use verbs. 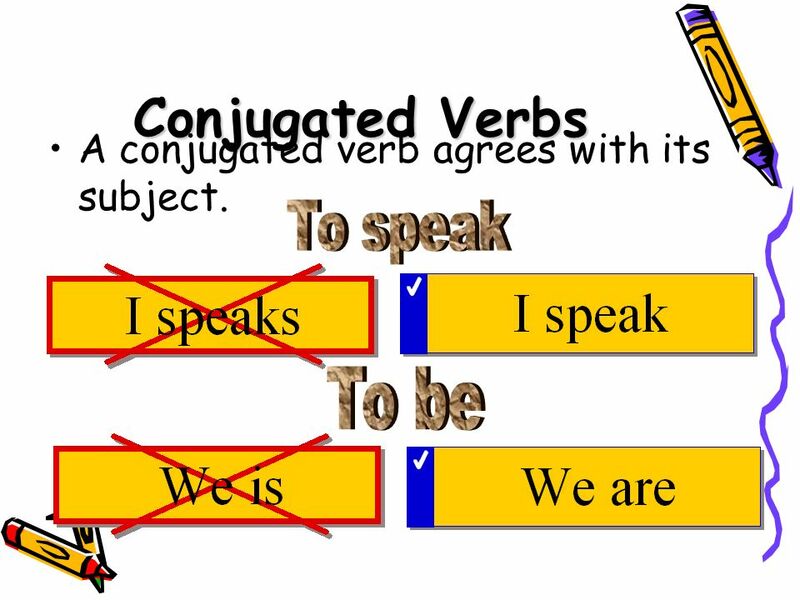 Verbs express actions or states of being. 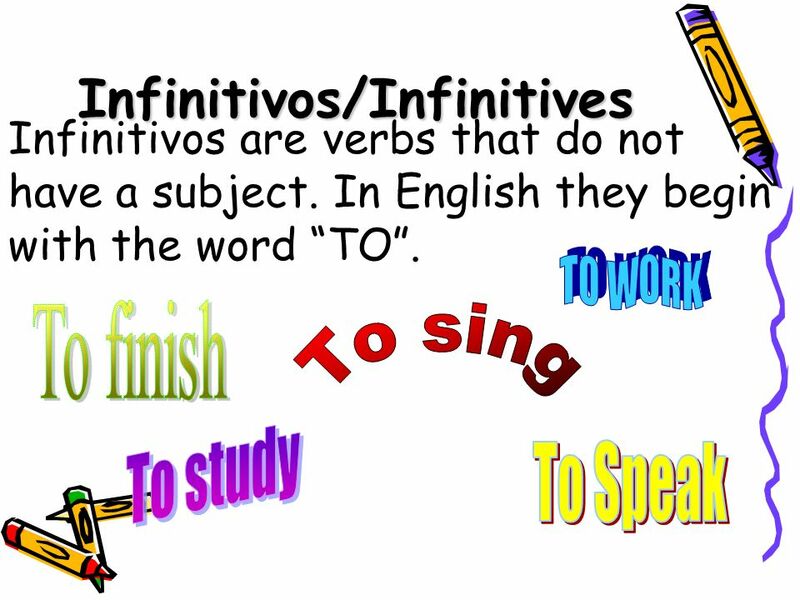 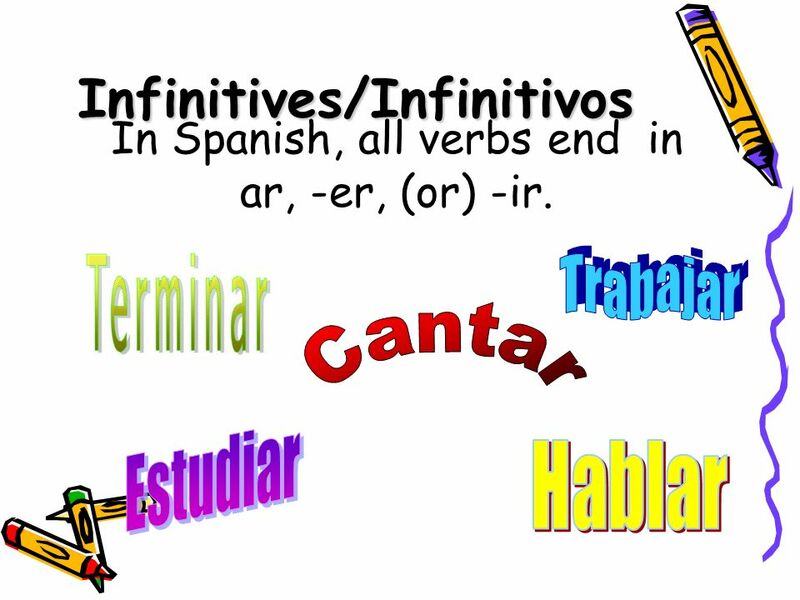 In English and Spanish, the infinitive is.